Question: Lately I’ve seen a lot of hype regarding metabolic damage that can occur when dieting to very low body fat levels, where individuals permanently “damage” their metabolisms to the point where they are getting fat on 800-900 calories a day. It’s said to occur when losing weight too fast or trying to do too much cardio on top of a very low caloric intake. This sounds like bro-hype but I’m wondering: Is there any truth to this phenomenon? Answer: This seemed a good followup Q&A after last Friday’s Lean Body Mass Maintenance and Metabolic Rate Slowdown – Q&A since it’s semi-related and I seem to have total writer’s block regarding anything approximating a feature article right now. There are several issues at stake here and I’m going to address them in reverse order. Certainly I have seen some weirdness occur (and there is at least one study to support this) where excessive cardio in the face of a large caloric deficit can cause problems, not the least of which is stalled fat/weight loss. In that study, the combination of a very large deficit plus about 6 hours of cardio seemed to decrease metabolic rate more than the diet alone. This is something I intend to cover in more detail at a later date. This, along with personal observations, was what led me to strongly suggest against doing a lot of cardio on The Rapid Fat Loss Handbook program; in fact I’d say that a majority of failures on that program can be tracked to people trying to do too much cardio and it doing more harm than good. Invariably, the folks who minimize activity (beyond the basic weight workouts) and let the deficit of the diet do the work do better in terms of fat loss. So certainly there is an element of truth to that. However, we need to look at magnitudes here and do a bit of reality checking. Several in fact. The first is to look at the food intake. 700-900 calories is not a lot of food and, typically, at the end of a contest diet, hunger is simply off the map. I find it doubtful that someone is truly consuming that little food on a day to day basis at the end of a contest diet. Note that I did not say impossible (anorexics certainly seem to do this); I’m simply doubtful that someone is consuming that little food in the face of extreme hunger on a day to day basis. They may be reporting that that is their true food intake but I’d be doubtful that it was truly that low on an everyday basis. 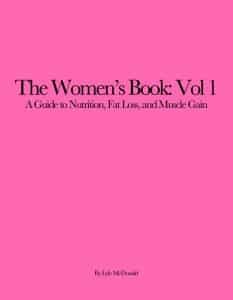 Now, as discussed in the Q&A I linked above (as well as in other articles on the site and in my books), there is no doubt that the body undergoes a variety of rather annoying adaptations to reduced calories and fat loss. Reduced metabolic rate, reduced spontaneous activity, etc. all occur and this works to slow fat loss. But what we’re really dealing with here is a magnitude issue. First and foremost, if someone is claiming to get fat on only 900 calories per day, that implies that their actual total daily energy expenditure is actually LESS than that. That is, as I discuss in some detail in The Energy Balance Equation, we know that to actively gain fat requires a caloric surplus (relative to expenditure). To gain fat at say 900 calories, and to do so at any fast rate would imply that daily energy expenditure was significantly less than that. For example, assume that someone eating only 900 calories per day were gaining fat at a rate of 1 pound per week. That would imply a 500 cal/day surplus or a total daily energy expenditure of 400 calories per day. For an average sized male who started out with a maintenance energy expenditure of 2700 calories per day that would be an 85% reduction. For an smaller female who started with perhaps a 1700 calorie/day maintenance, that would be a 75% reduction from where they started. And simply, that level of reduction is far and beyond everything that’s ever been measured in the history of research on this topic. Now, some might argue that the stressors of competition dieting haven’t been examined and they’d probably be right; to my knowledge, no-one has examined the metabolic rate of a bodybuilder following an extreme contest diet. Quite in fact, most studies don’t examine lean individuals at all but there is one study that is possibly relevant which is the seminal Minnesota Semi-Starvation Study. I’ve talked about this study before and it represents one of the most massively well-controlled studies on the topic ever done (or that will ever be done). In it, war objectors were placed on approximately a 50% reduction from maintenance calories (which only put them around 1500 calories/day or thereabouts in the first place) and were held there for 6 straight months. Activity (walking) was enforced and most men reached the lower limits of body fat percentage by the end of it. I’d note that only men were studied so it’s possible that women, who are prone to showing more resistance to fat loss, could show a differential response. And the total reduction in daily energy expenditure only amounted to 40% (of which the majority of that was due to the weight loss). Weight and fat loss had basically stopped at the end of the study which makes sense; the original 50% deficit had been reduced to at most 10% due to the 40% reduction in metabolic rate. The bottom line is that no study I’ve ever seen has suggested that total daily energy expenditure could be reduced to the levels that are implied by ‘gaining fat rapidly at 700-900 calories/day’. So what’s going on? Certainly some bad hormonal things go on when you combine heavy activity with heavy deficits for extended periods to low body fat levels (I’d note that various types of cylical dieting such as my own Ultimate Diet 2.0 and Martin Berkhan’s Intermittent Fasting approach seem to side-step at least some of this). Thyroid levels drops, nervous system output drops, testosterone levels crater, cortisol goes through the roof. And I would suspect/suggest that it is this last effect that is being observed and taken as evidence of ‘metabolic damage’. In a water depleted, glycogen depleted bodybuilder coming out of a contest diet, water balance is going to go absolutely crazy and cortisol is one mediator of this. Water retention secondary to glycogen storage will also contribute. So you have a situation where a post-contest bodybuilder may be seeing just massive swings in water weight (which can appear like rapid fat gain) following the contest; especially when you consider the normal runaway hunger that tends to occur at that point. Between glycogen storage and simple cortisol mediated water retention, I can’t see any other reason to explain the observation. Even one day of overeating carbs can cause massive water retention (for example, shifts in water weight of 7-10 pounds over a day or two are not uncommon on cyclical diets) and I suspect that’s what is being observed. Which is all a long way of saying the following: certainly there is evidence of metabolic derangement when you diet people down to low levels of body fat, this can probably be made worse if you undergo the normal severe overtraining cycle that most dieters go through at that point. But I don’t see any physiological way that true rapid FAT gain can occur at such low calorie levels. I’d suspect that water retention (and a bit of neurosis equating water weight gain with true fat gain) is the primary culprit here.